Beer thief, a photo by PhylB on Flickr. 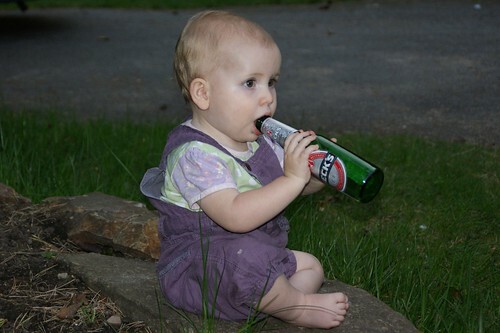 I tried to steal some of daddy's beer the other night but there were only a few drips left in his bottle. Amn't I a clever girl? Pink fluffy trees are back!